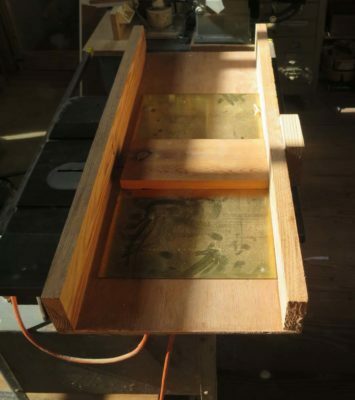 One new workshop for this summer is the project to make a set of nested cabinetmaker’s squares a la Roubo. When first encountering them I was immediately intrigued and made myself several versions of the form in wood, metal, and ivory. 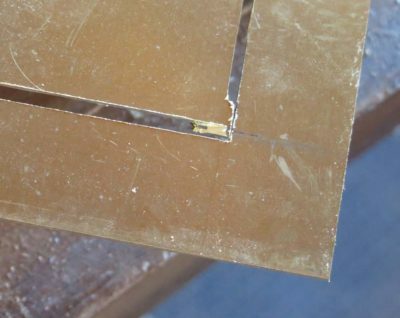 For the upcoming workshop we will make our sets with plate brass. Since the process and form might be unfamiliar let me recount it for you in several steps over the next couple of weeks. 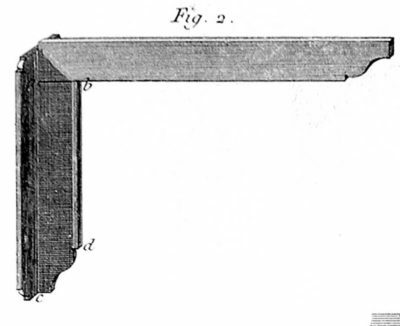 Roubo does not describe the “making” of his tools, merely their utility. 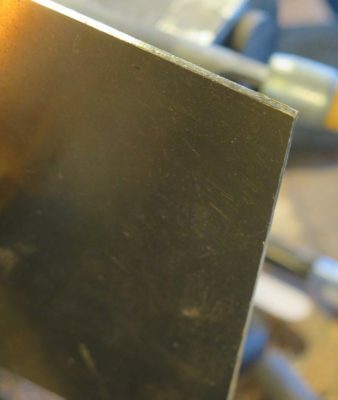 In our modern times we have the advantage of having tables saws at our disposal, and most of us have crosscut sleds. 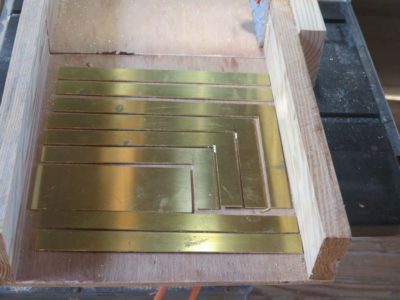 And, we have easy and (comparatively) inexpensive access to plate brass. 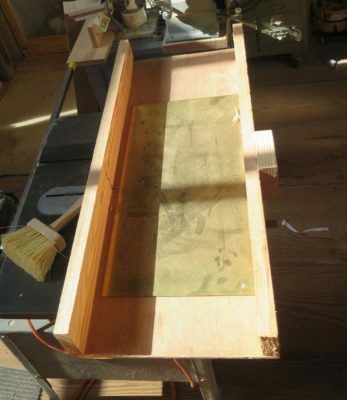 I started with a piece of 1/8″ brass plate measuring 12″ x 24″ and cut it in half on the sled. 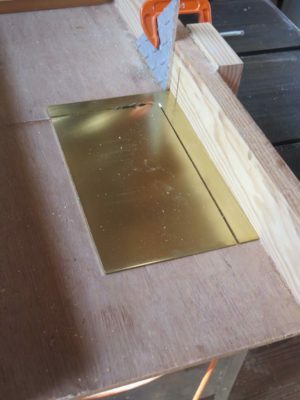 Since the fragments of the brass coming off the saw can be quite stinging, when I find that I cannot arrange to be out of the way I often cover the kerf line with a piece of scrap lumber to keep all of that shrapnel going down into the saw box rather than up into me. The first thing I did was take the 12″ x 12″ plate and rip off four 1-inch strips to get to a final dimension of 8″x 12,” which would be the size of the largest square for this nested set. The 1-inch strips will become the “shoes” for the squares later on. To complete this particular cut I took the workpiece to the vise and finished the cut with a large jeweler’s saw frame and some #4 blades. 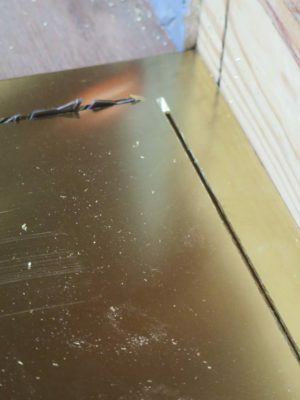 The “outer” corner of the remaining piece was cleaned up gently with a file and I returned to the table saw to repeat the step. Lather, rinse, repeat. In the end I was left with all the parts I needed to make a nested set.